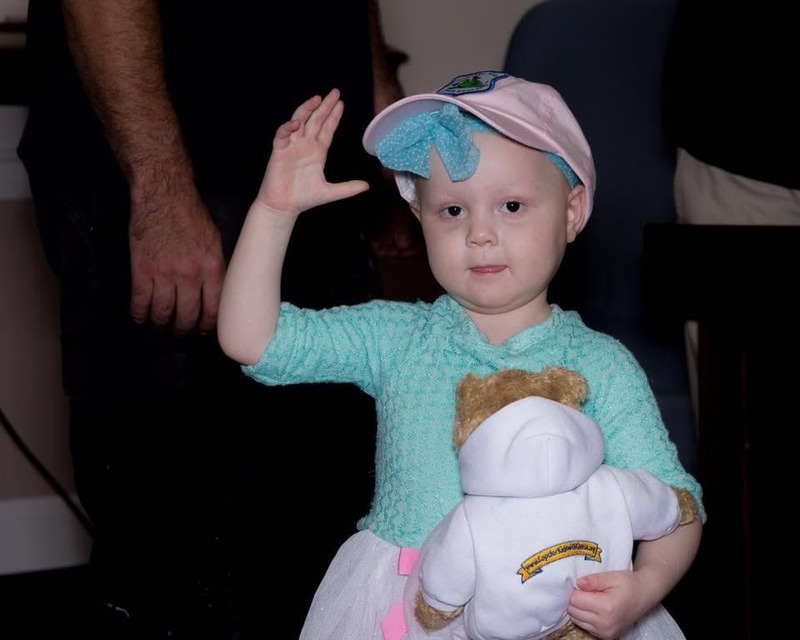 Members of the Carver Police Department and Cops for Kids with Cancer teamed up Tuesday to present a 3-year-old girl with a $5,000 check to help pay for her cancer treatment. Dressed in a white tutu and tights, a light blue sweater and a pink hat, Harley Pierce, along with her mother, father, sister and brother, were welcomed by officers at the station Tuesday. Retired chief Ned Merrick presented the family with the check. Cops for Kids with Cancer is a Braintree-based non-profit organization made up of retired police officers that raises money to help local kids battling cancer.